CPPM, based in the town of Abingdon, offer a professional locksmith service throughout Oxfordshire and are available to hire in the Oxford suburb of Headington. Residents of Headington, named after the hill of the same name and situated along the London Road that links Oxford with the nation’s capital, can rest assured that our team of locksmiths are fully qualified and that the Disclosure and Barring Service (DBS) has conducted a thorough criminal record background check on all of our staff. Those looking to hire the services of safe, skilled and reliable locksmiths in Headington should contact CPPM without delay. Headington, inhabited since the Iron Age and once the site of a palace during Anglo-Saxon times, began to expand during the early twentieth-century when the population overspill from London saw increasing numbers of people settling in towns and cities that had direct railway connections with the capital. The rise of the motorcar in the 1950s, along with the development of Britain’s road network, saw additional roads connecting London with nearby settlements such as Headington and these places continued to grow as a result. 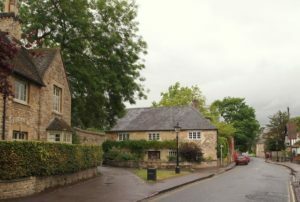 The increasing number of homes, built to house the growing population in the Oxford suburb, caused a rising demand for locksmiths in Headington. Losing a key, an event that can befall even the most careful of individuals, may result in a person getting locked out of their home. In these circumstances it will be necessary to hire the services of a locksmith, such as those employed by CPPM, who will use a universal key to unlock the door. All locks will need to be changed due to the risk of strangers gaining access to the house, copies of the key being made and duplicate keys falling into the hands of criminals. CPPM offer an around-the-clock locksmith service, available twenty-four hours a day and seven days a week, in Headington and other areas of Oxford. Our team of locksmiths in Headington, ready and willing to meet the security needs of those residing in the Oxford suburb, are able to change any type of lock and are available to help individuals regain access to their buildings in the case of keys being lost. CPPM are trained and equipped to change the locks in cabinet, garage, house, office and shop doors as well as windows. Our staff, fully insured and meeting British Standards, can also repair PVC doors and windows.